For every ton of paper that is recycled, the following is saved: 7,000 gallons of water; 380 gallons of oil; and enough electricity to power an average house for six months. You can run a TV for six hours on the amount of electricity that is saved by recycling one aluminum can. Recent studies show that 66% of Americans said “worse” when asked if they believed the nations air quality had gotten better or worse in the last 10 years. Worthington Direct ( www.worthingtondirect.com )proudly features a manufacturer that is making a positive impact on both educational and natural environments. Smith System has been improving educational environments for more than 100 years, making them more comfortable, healthy and effective. Now, Smith has taken their business to the next level and paired its expertise in educational furniture manufacturing with environmentally friendly processes and techniques. In 2006, The City of Plano, TX awarded them the Outstanding Environmental Commitment Award, recognizing Smith System for comprehensive efforts to adopt lean manufacturing techniques and reduce waste of all kinds. As the effects of global warming become more evident each day, air quality is becoming a real concern among consumers. Several products featured in the 2007 Worthington Direct School catalog and website are made from eco-friendly, low emission materials. Student desks, stack chairs, activity tables and computer tables manufactured by Smith System have a GREENGUARD Indoor Air Quality Certification. These manufacturing processes have been streamlined and are as efficient as possible while reducing two primary types of waste. There a reduction in the amount of solid waste going to landfills, but in addition, the energy required to support the manufacturing processes is much lower. Smith System has partnered with a new vendor who is interested in using the recycled plastic from chair shells, moldings and other scraps from the production process. To date, 50,000 pounds of re-usable plastic have been spared from landfills and instead utilized in other products. Creativity and partnership are key ingredients for Smith System in protecting the environment while still providing the highest quality furniture and educational products available. Improving recycling efforts, reducing waste and educating students on how they can help protect the environment offers countless benefits to us all. Smith gains valuable recycled material to re-use in the construction of innovative and durable new classroom furniture while students gain a respect for the natural environment, and learn it is everyone’s responsibility to protect it. Programs to raise awareness within the education industry have increased, and encourage each school and its administrators to raise the standards in their classroom furniture. 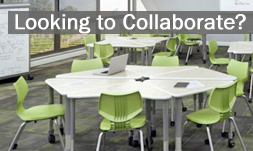 Worthington Direct is proud to distribute Smith System classroom furniture online and in its 2007 catalog. After spending over 30 years in the school supply, church and equipment industry, Worthington Direct (www.worthingtondirect.com ) knows what is important – selection, service, price and timing. Our goal is to make your purchasing job easier. With competitive pricing, knowledgeable sales associates, and “In Stock” products for quick, efficient shipping…Worthington Direct is committed to being your furniture resource.